Driving to La Grande for an early morning meeting, the radio news reporter stated Union County’s average temperature in August was .9 degrees above average. I wondered: Are you talking about our Union County in Oregon, or Union County in New Mexico or Georgia? Since we moved here in 2009, this has been the coolest temp summer so far: Summer of Long-Sleeved Shirts. 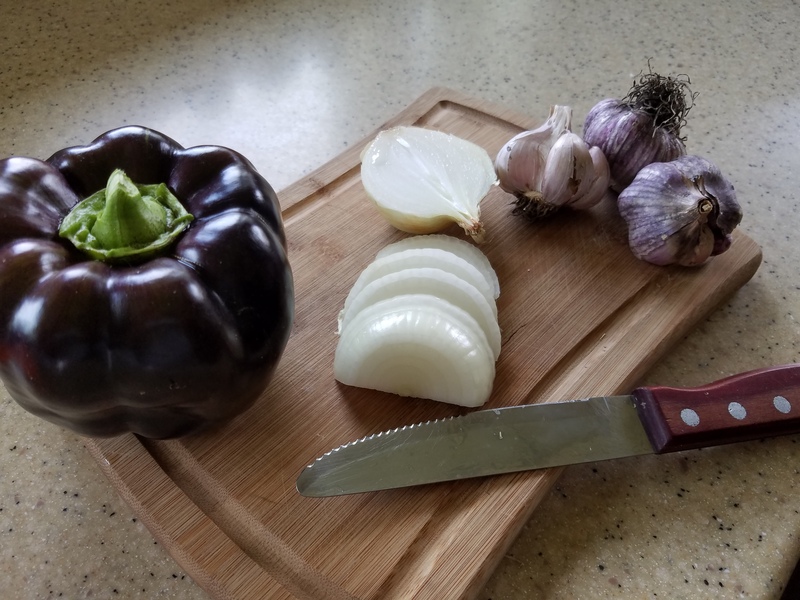 Summer started out great with a beautiful garlic crop, and then July got weird. Hot days through August were few, and warm days came in spells interrupted by cool days and very cool evenings. 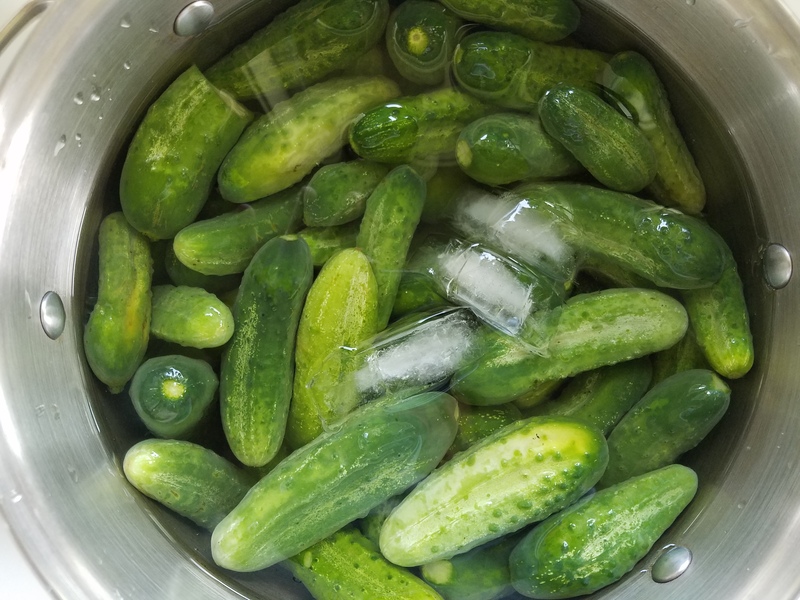 Heat-needy crops such as beans, cucumbers, and tomatoes use energy in the daytime to recover from cool overnight temperatures. For each night that dips into the 50’s, tomatoes need at least two days to recover ripening ability. Without enough time, heat-lovers set fruit and grow hardy protection for their seeds, but will not have time to ripen. 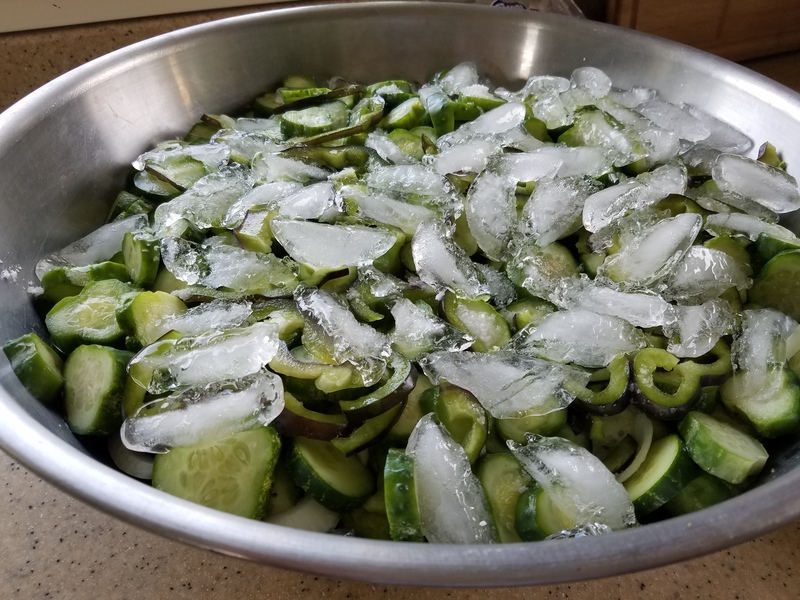 Our garden is full of green tomatoes and unripe hot peppers, some tough green beans, very few cucumbers, and pumpkins that have turned orange a full 4 weeks ahead of schedule. So what does one do when weather goes awry? Make do with what is available to trade, glean, or buy, and stock the pantry. 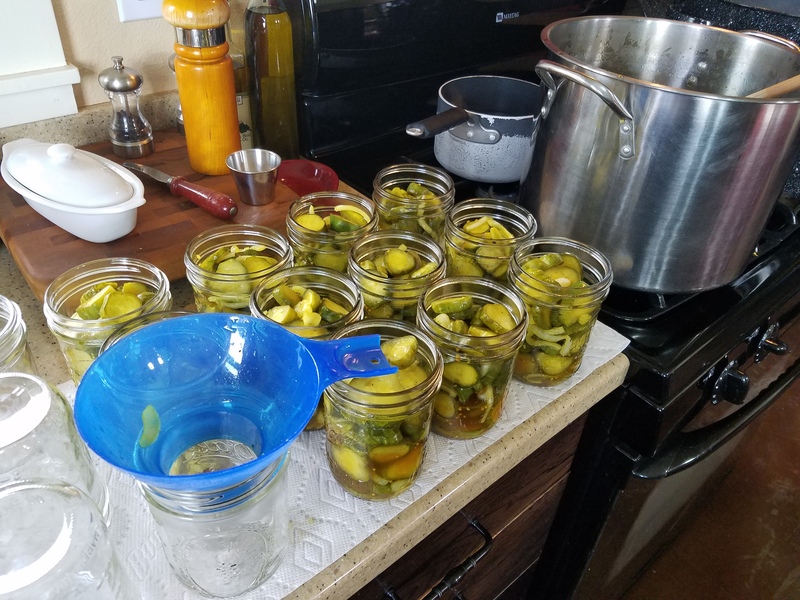 Our pantry so far is filled with pickles (Bread & Butter, Kosher Dill), jams (Cherry, Blackberry, Apricot), frozen corn and beans, and canned beets. We have a picked-yesterday peck of tomatillos to be roasted and processed as Salsa Verde. 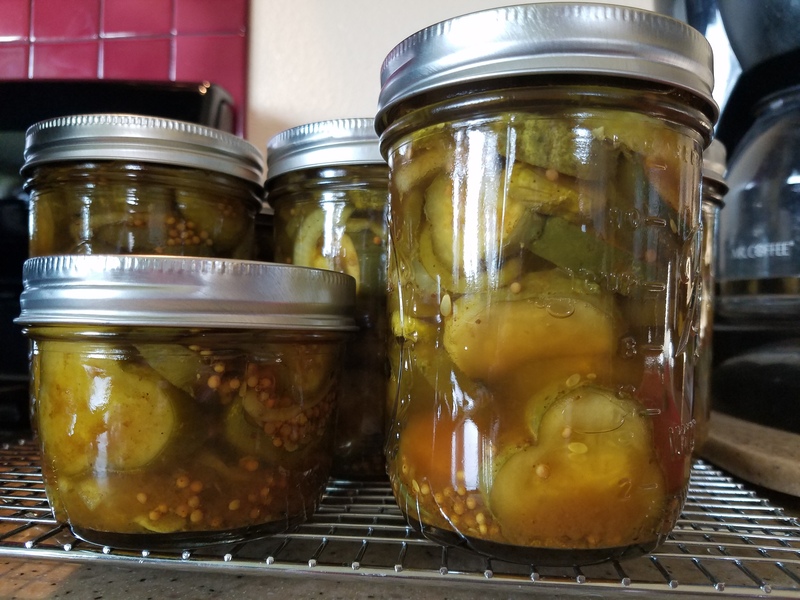 A while back, after many requests for Grandma’s pickle recipes, we asked if Grandma held her recipes tight. Dad chuckled, “No. 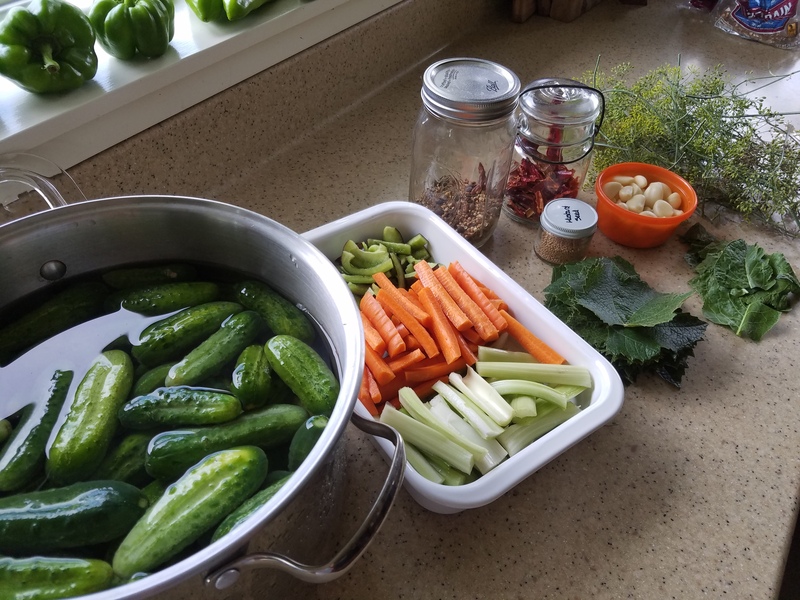 She gave the recipes to EVERYONE.” So following Grandma Haeger’s tradition, we share her time-tested amazing pickle recipes with you. Enjoy. 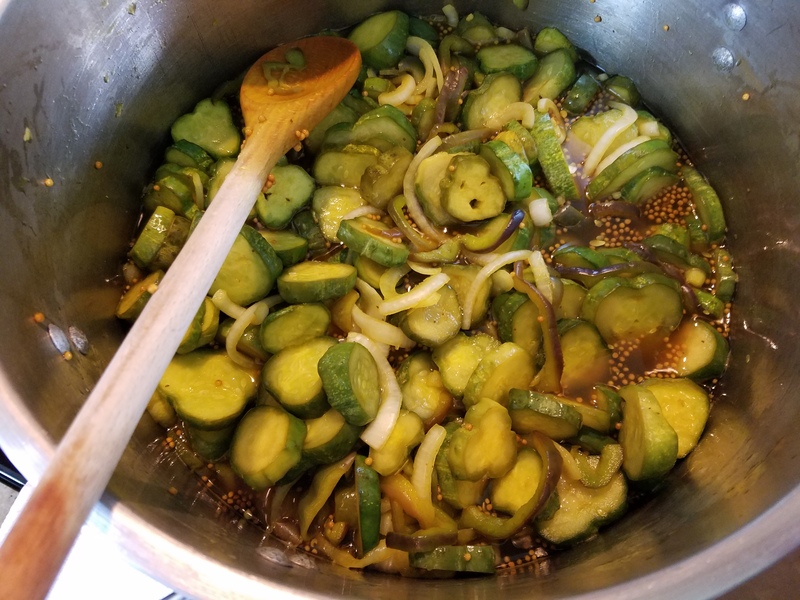 Bread & Butter pickles sweet with a tangy spiciness that pairs well with salty sides. 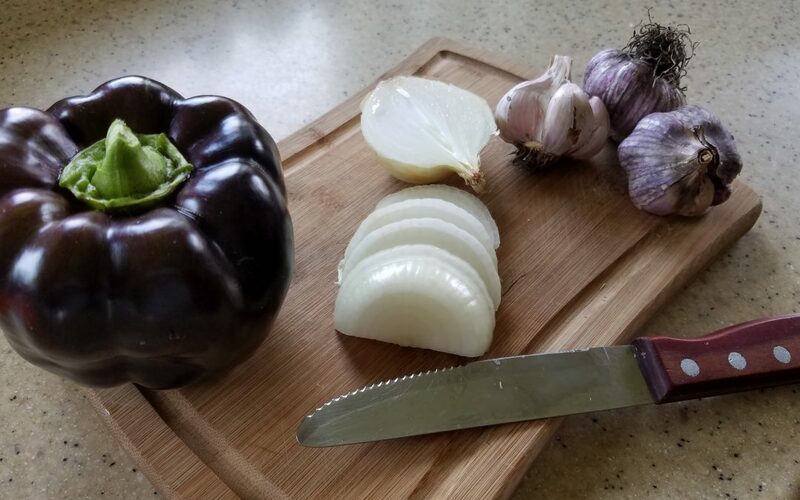 Eat ’em right out of the jar, serve them on a cracker with sharp or tart cheese, or chop them with a bit of red onion over a fresh tuna salad. 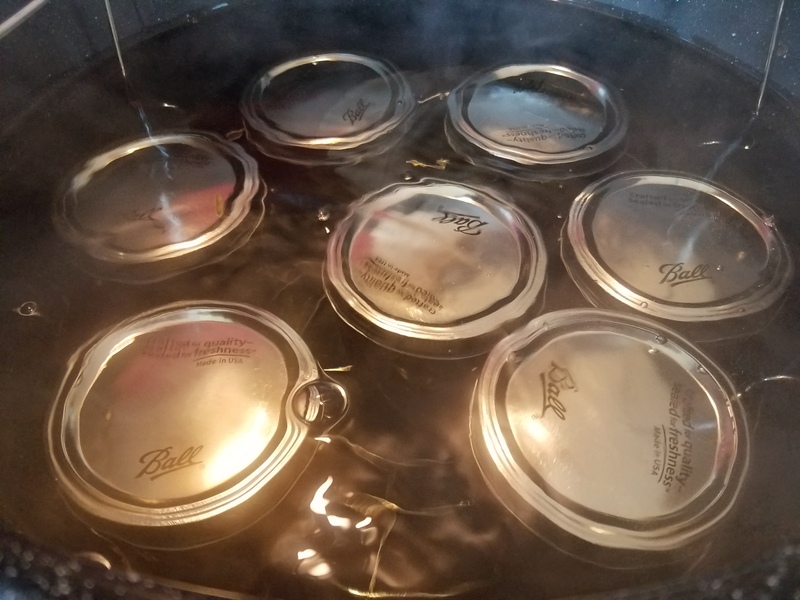 Method: Hot water bath canned in pints and half-pints. 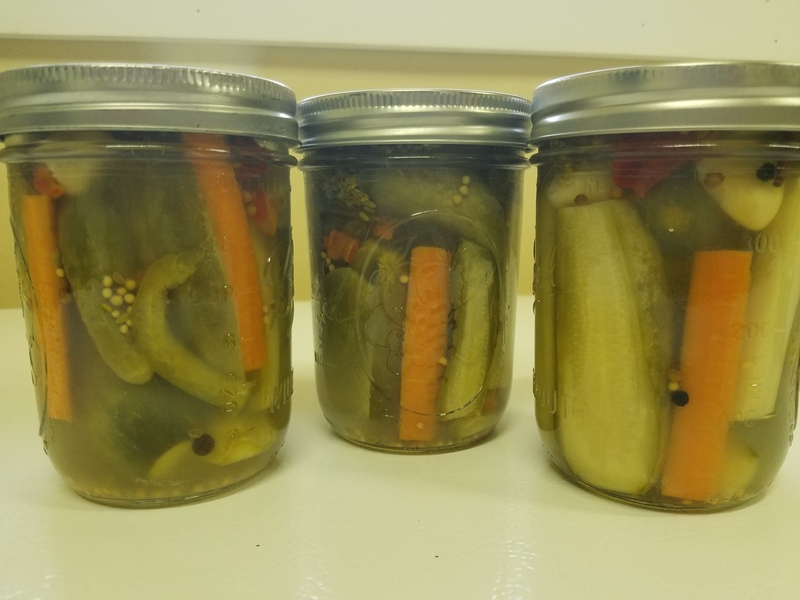 These kosher dills are crunchy, salty, spicy, fermented perfection. 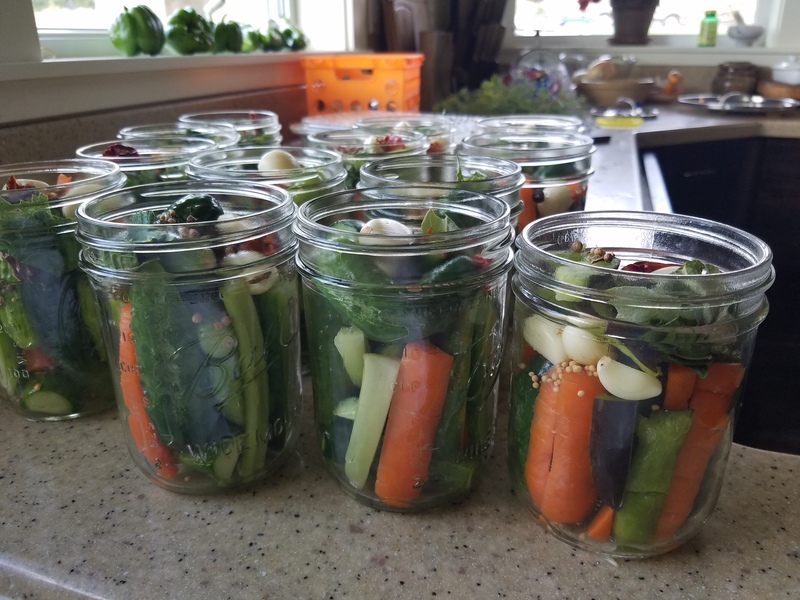 Pull out the stuff at the top, argue a little about who gets the garlic (while sneaking them out under kids’ noses), and enjoy all the goodies that we pack into each jar just like Grandma did. 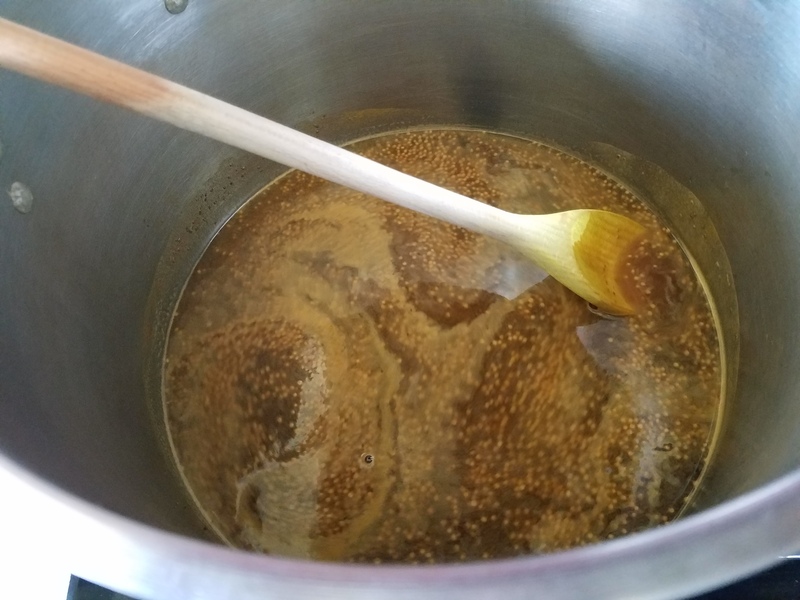 Method: Lacto-fermented in quarts and pints.